Hello @Levan and @Khevsur sorry for the lack of recent contact regarding the Caucasian units. Sorry for the delay. We will gladly share our information. First of all, the naming is incorrect. The word "warriors" is misspelled, it should be Meomrebi (or Meomarni) instead of Mehomni. The word "Kartvelian" is misused, it is a term to describe Georgian language group or peoples. "Georgian" would be "Kartveli". So, the correct name would be Kartveli Meomrebi (Kartlian Warriors). Secondly, archaeological materials and historical descriptions indicate that Kartlian warriors should be represented as heavily equipped spearmen. You should remove the leather and horny helmets. They aren't authentic. There is a record of Chalybes wearing helmets with horns though. You can also use eastern conical helmets. 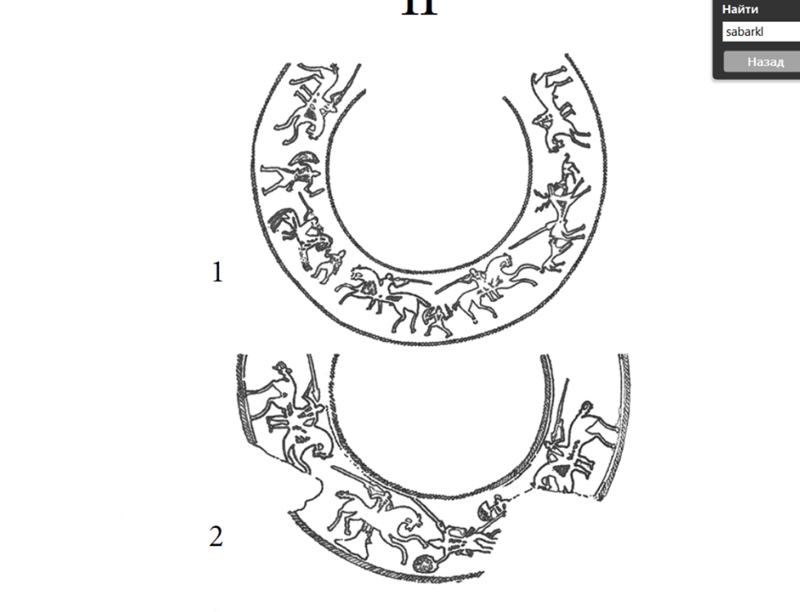 They are depicted on a pitcher found near Mtskheta, IV-II century. The unit should be equipped with scale armor. You could also use leather armor according to Strabo. 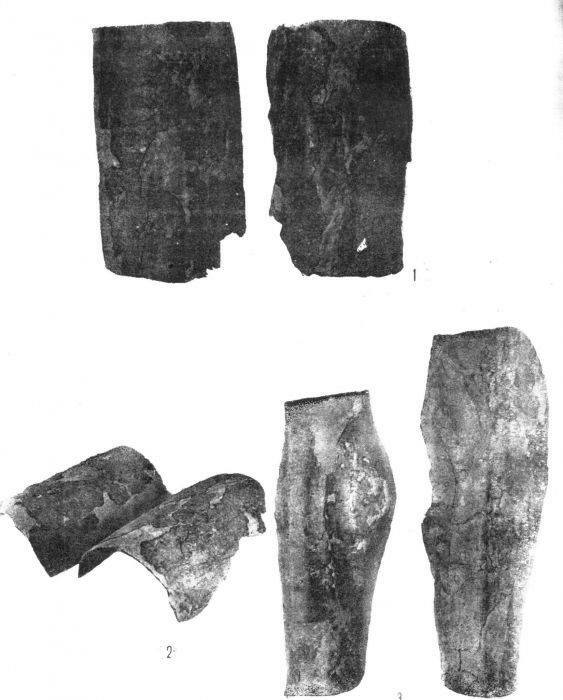 Three pairs of greaves have been found in Georgia, one of them even had hip/thigh guarding plates. Current flat shields, with some stripes, aren't reasonable. 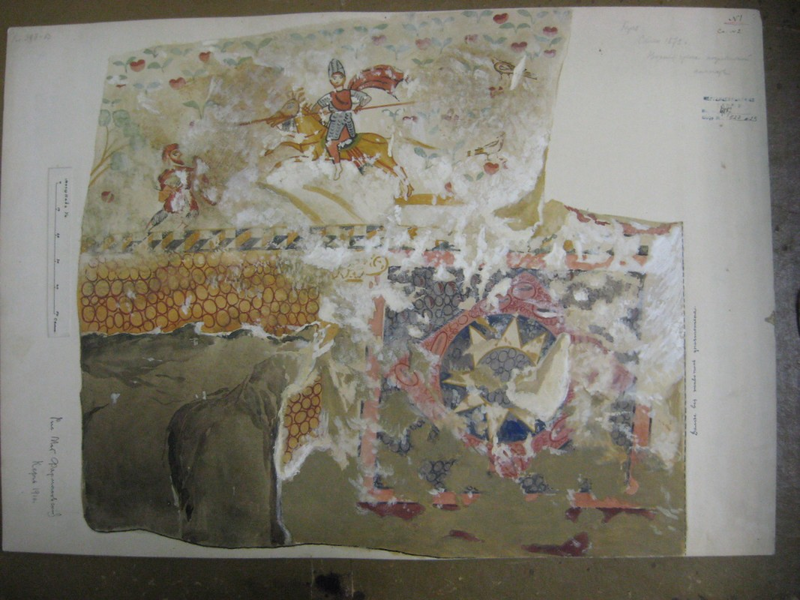 The horn below was found in Eastern Georgia (Kartli), so Kartlians are the ones who should have these shields. Round shields, can be used as well but they should be larger, curved and strengthened with metal plates. 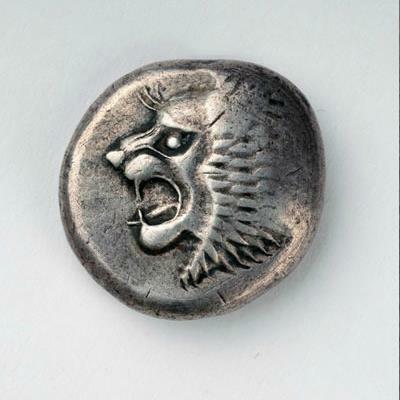 On the shields, you could draw Borjgali(symbol of the sun and eternity), bull, lion. 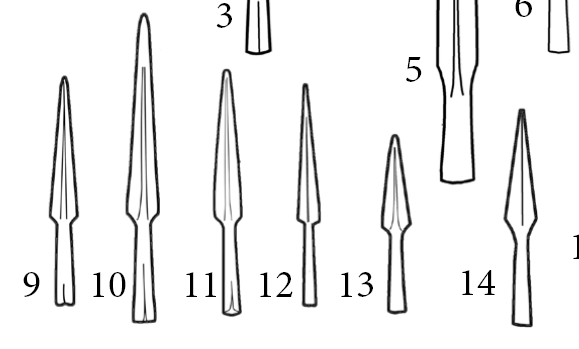 These are the types of spears found in Kartli, relevant to the period. 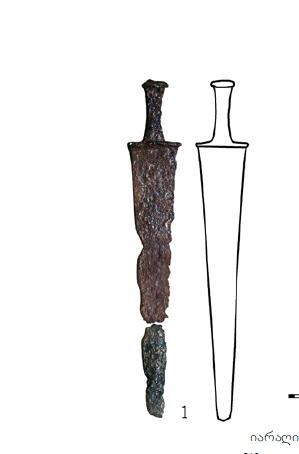 There is numerous evidence of both swords and axes. I think you should use swords as a secondary weapon but unit models should also have hatchets for historical representation. Bellow are the findings appropriate for Kartli. Kartvelian units should have Caucasian skins, in the game they could probably be represented by South European. Those Middle Eastern skins are inappropriate. 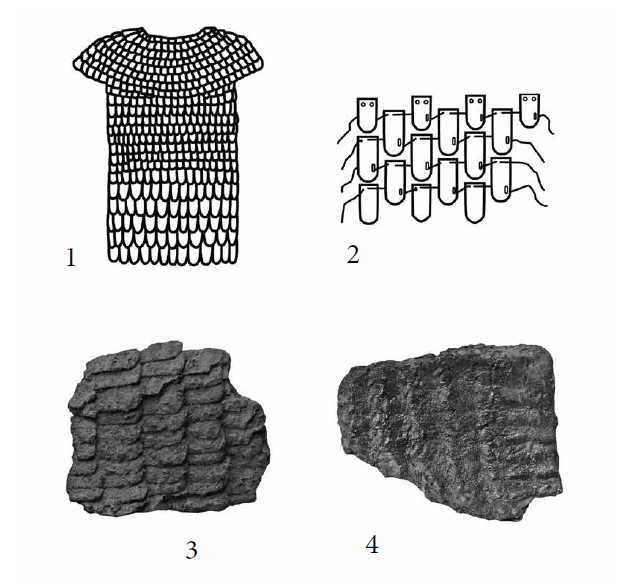 Khevsurs drawings could be used as samples, though they are old(shields should be larger). The team has decided that this thread is the fastest way to re-consider the units. I hope that is ok with you two? We would also like to know if you would be interested in helping develop Caucasus specific character traits? @Sarkiss and @Arjos were responsible for most of our Caucasian units, and they will be your primary points of contact. @wermez has also expressed an interest in re-working some aspects of the Caucasian units. donated by ARCHIPPOS for being friendly to new people. donated by Macilrille for wit. Hello everyone, we are willing to assist with anything related to Kartvelians(Kartlians, Colchians, Native Pontians). We have profound information on the game period to create several, to a great extent historical, units. If you reconsider, we could even bring into being a whole new faction. I think it's a shame that the first Georgian kingdom(Kartli) is missing in this mod when it played an important role throughout the period and we have more than enough information to historically represent it. 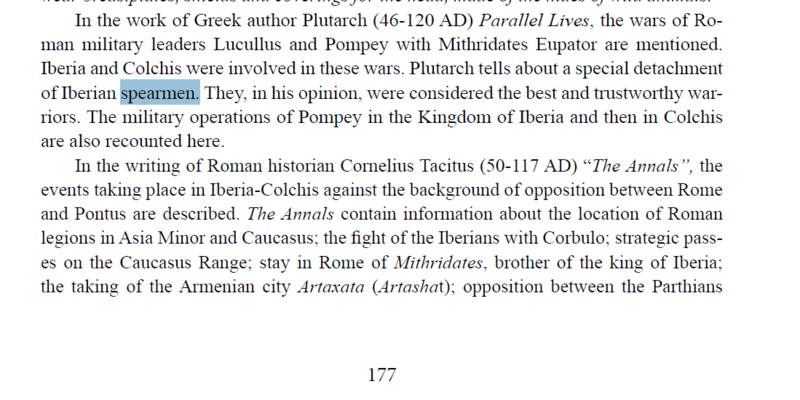 Kartlians (Iberians ) were Heavy spearmens and shock cavalry, also Skirmisher Cavalry. They had war chariots. Egrisians (Colchis) were heavy Hoplite , also spearmens and axemans . 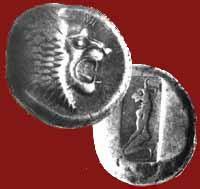 Chans ( Chalybes, Tibareni, Macrones and other south west Kartvelian tribes) were spearmens and skrimshers. Svans( Misimians ) Were Archers , with Poisoned arrows. Last edited by Khevsur; 01-03-2019 at 14:24. Could you show us your sources related to all your suggestions? We need historical and archeological sources for every your proposition. Bear in mind that free slots for units are very limited(in M2TW is units limit that is 500, and we are very close to the limit). Also we changed one unit, Armenian lancers are now Caucasian lancers, name and description of this unit was changed. Last edited by Zarrr; 01-03-2019 at 19:56. (5th century BC - 4th century AD)" Gela Gamkrelidze . He promised to help me. please Continue working After the visit. Last edited by Khevsur; 01-06-2019 at 18:08. 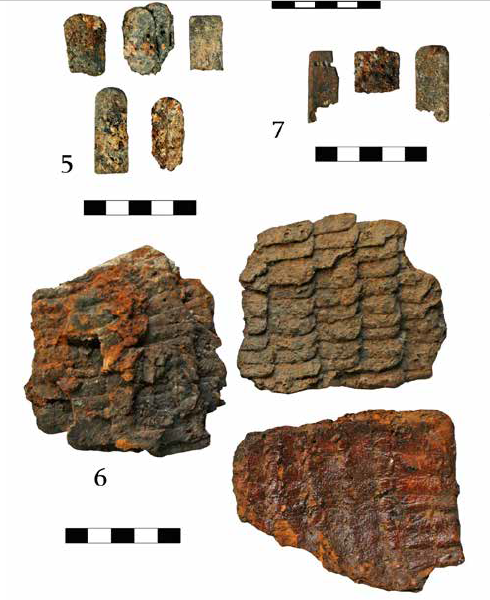 Last edited by Khevsur; 01-05-2019 at 20:41.
nobles shields is urartian type round wood bronze covered, With Relief images. 40-50 cm Diameter. armour is scale bronze , have foot guard. Last edited by Khevsur; 01-19-2019 at 15:33.
with Flax armor , lower is spinning flax ropes , dark red foot bandage. Last edited by Khevsur; 01-21-2019 at 16:26. Last edited by Khevsur; 01-19-2019 at 15:37. Last edited by Khevsur; 01-24-2019 at 20:01. Last edited by Khevsur; 01-22-2019 at 13:08. Why do you want to delete Phæzæghashkha? in Colchis adygheans coming in late middle ages. also this unit weapons is kartvelian weapons. this weapons Found on the territory of Georgia. Phæzæghashkha Is Adyghe name, is not georgians name. Last edited by Khevsur; 01-20-2019 at 08:18. It is true, but they are proto-Circassians not proto-Georgians. This unit represent proto-Circassians and represent peoples from northern mountainside of Caucasus. Phæzæghashkha is based mostly on findings from princely burial in Mezmay and stuff from Kolchis. Iberian/Kartlian shock cavalry actually is in game. Last edited by Khevsur; 01-20-2019 at 20:19. These rectangular shields which are depicted on Gomi cup are also known from various depictions from Northern Pontic territories, Crimea etc. and create a new units - Colchian Skrimshers - "Egrisali Khesh-Borzalamephi"
Can you rename a name Iberians Cavalry ? Kartlian Cavalry - "Kartlelta Mkhedroba"
my new paint. 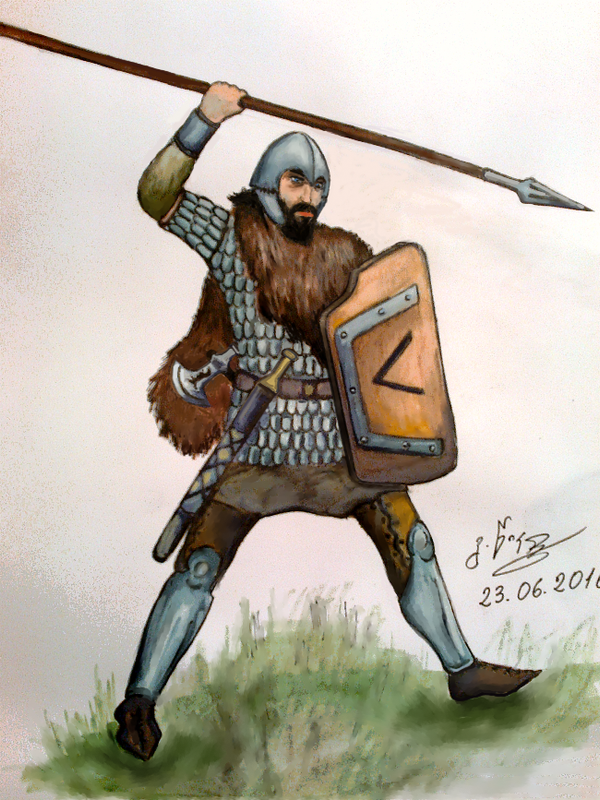 iberian Spearmen - "Kartlelta Shubosanni"
Last edited by Khevsur; 01-20-2019 at 21:42. Why do you think that leather helmets were not real? 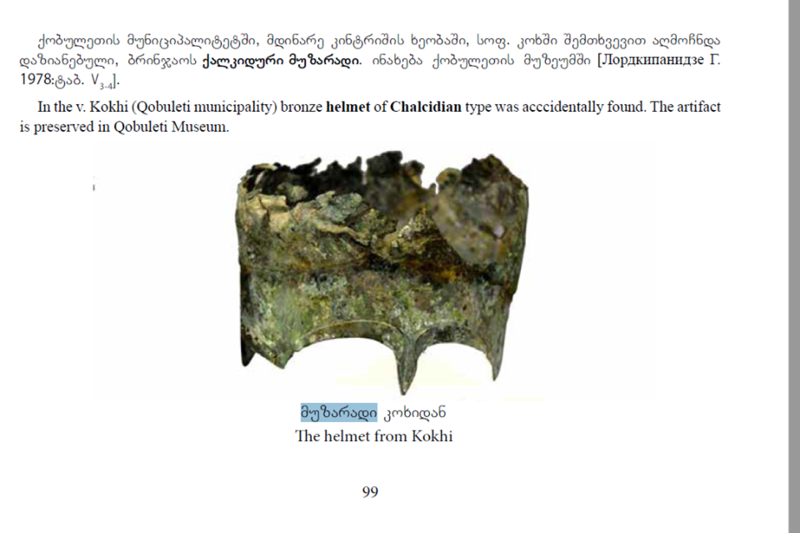 There are sources which describe helmets from organic materials used in Caucasus region. 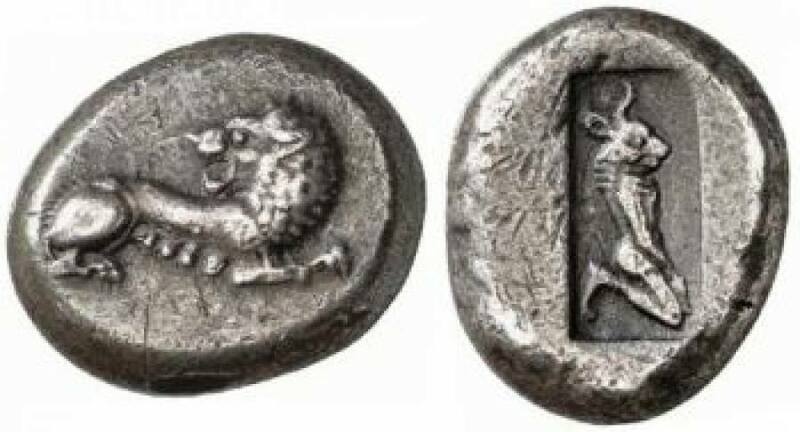 "The Albanians use javelins and bows; and they wear breastplates and large oblong shields, and helmets made of the skins of wild animals, similar to those worn by the Iberians." Starting with Xenophon, we can find in almost every Byzantine and late medieval european historical sources that Georgians had conical hats and in ancient times, conical leather helmets.those helmets are often compared to paphlagonian helmets by the greek authors. 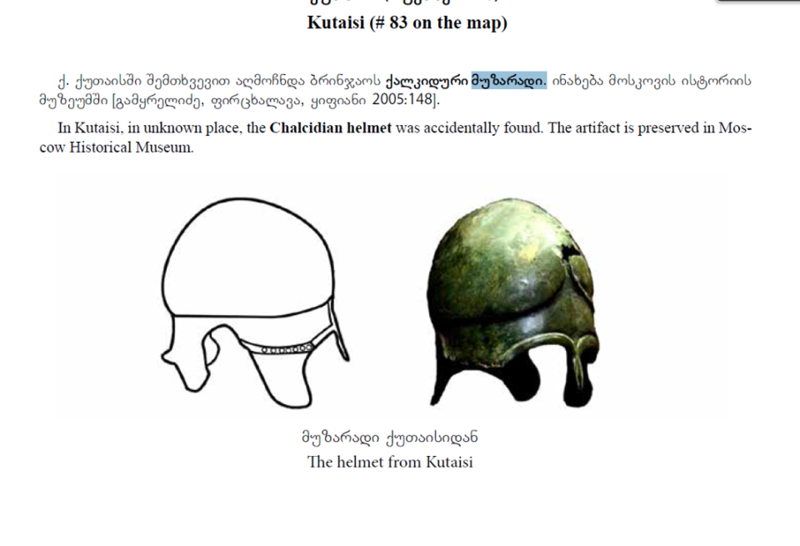 I think Kartvelian(Cholchis , Iberians, Chalibeans ) warriors Leather Helmets was Similar to that . Last edited by Khevsur; 01-24-2019 at 13:16. These names looks modern, in mod all units have names from ancient languages or their reconstructions. Just to remember an older post from you with the same units (I think?). No. this is old Georgian dialect . Modern Georgian - Egriseli Shubosnebi . Old Georgian ( Egrisian Kartvelian Language ) - Egrisali Borzalamephi. Im Georgian , I know more about Georgia , You know less about Georgia . Last edited by Khevsur; 01-22-2019 at 10:10. Last edited by Khevsur; 01-22-2019 at 10:15. How old is this dialect? Languages in mod must be from hellenistic period(3rd - 1st century BC). Last edited by Khevsur; 01-23-2019 at 11:27.